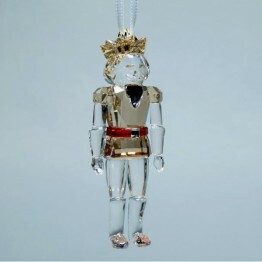 The nutcracker is made of clear crystal. 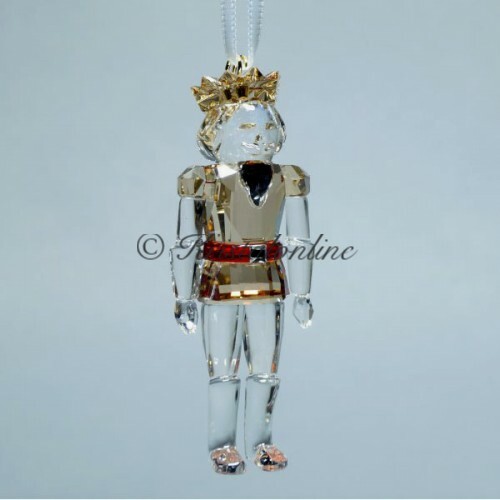 His coat and crown are made of Golden Shadow crystal. 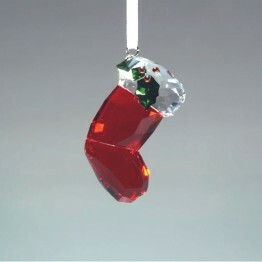 The belt is made of Light Siam crystal. 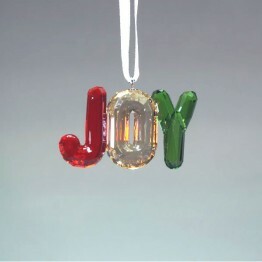 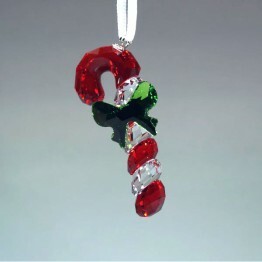 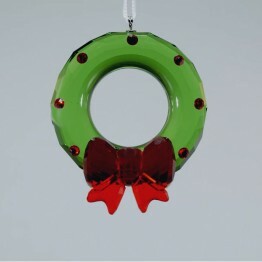 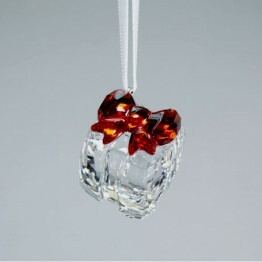 This ornament hangs on a white satin ribbon.